The ARPA-E Fellows Program seeks to seed innovation and creativity within the Agency by generating new ideas and connecting with leading experts to empower cross-disciplinary solutions that improve energy efficiency, reduce energy imports, and curb emissions. During their two-year tenure, ARPA-E Fellows influence the direction of American energy innovation, engaging with world-class researchers in academia and industry, entrepreneurs, and government officials. 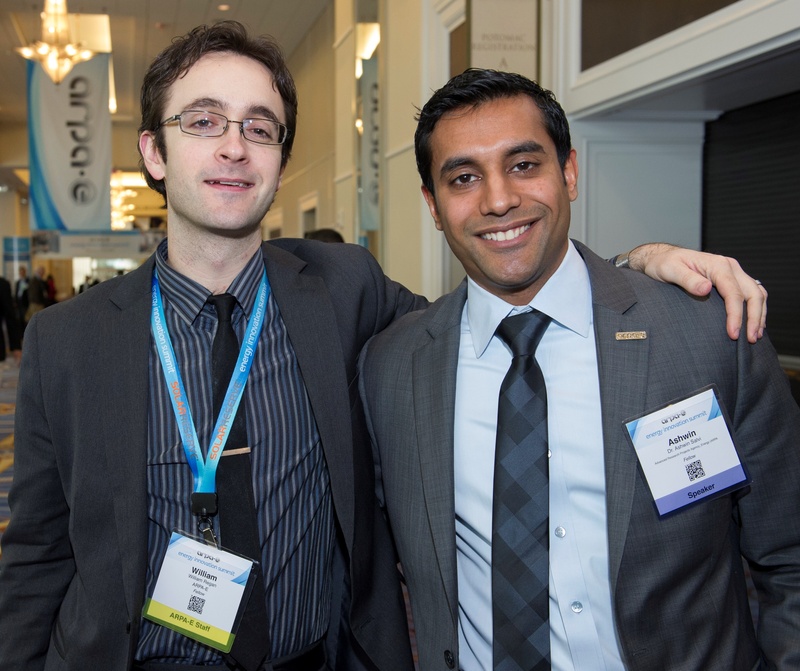 Hear from three Fellows – two current and one alumnus - about what a day in the life of an ARPA-E Fellow is like. Dr. David Brown currently serves as an ARPA-E Fellow, with interests in agriculture, manufacturing, and thermal processes and materials. Brown received his Ph.D. in Applied Physics at the California Institute of Technology, under the guidance of Dr. G. Jeffrey Snyder. He was named a Resnick Sustainability Institute Fellow. 1. How did you first learn about the ARPA-E Fellows program and what drew you to it? Dr. Ping Liu, a former ARPA-E Program Director visited Caltech in 2012 to give a lecture on ARPA-E and his work in energy storage. Afterwards, along with several other graduate students, I had the opportunity to meet with him. He took the time to discuss how funding program development works, and how the ARPA-E Fellows were critical to that process. I listened quietly, and afterwards my mind started racing with a question – what great programs could I put together to make a transformational impact in energy technology? I’d never considered that so early in my career, I could be given an opportunity like the ARPA-E Fellowship. 2. What has been the most valuable experience you’ve had so far as a Fellow? 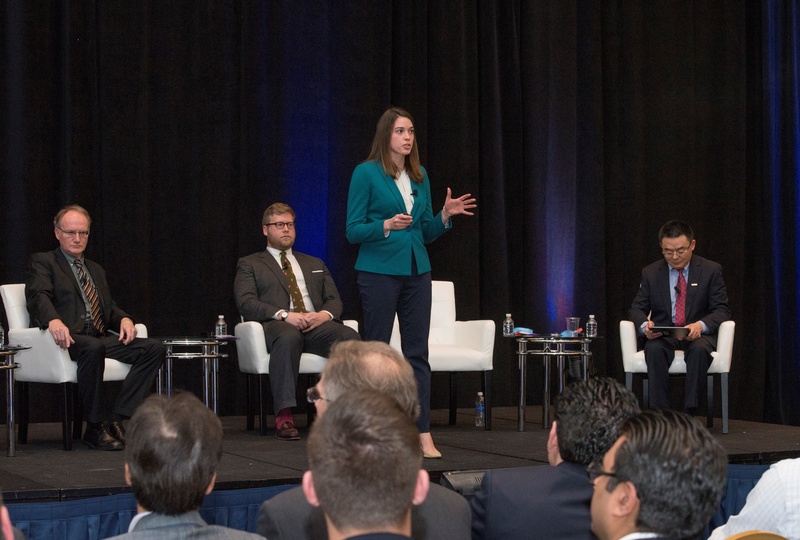 Every year at ARPA-E’s annual Energy Innovation Summit, all the Fellows have the opportunity to present a short talk called a “Fast Pitch,” to an audience of hundreds of conference attendees. This was an incredible opportunity to present my vision for transformational new opportunities that could improve energy security and decrease energy-related emissions. The process of brainstorming and developing my Fast Pitch really forced me to dive into and understand a completely new field. In 2015, I focused my Fast Pitch on the concept of using plants to increase soil carbon, which eventually became the basis of the ROOTS solicitation. 3. As you’ve mentioned, you were very involved in the creation of ARPA-E’s Rhizosphere Observations Optimizing Terrestrial Sequestration (ROOTS) program – what was that experience like and what did you learn? When I came to ARPA-E, I made a very broad survey of major challenges in energy and greenhouse gas emissions. I identified zero to negative-cost carbon capture and sequestration as an enormous need. In my research, I noticed the huge annual carbon capture of terrestrial ecosystems. That research led to a conversation with Dr. Joe Cornelius, an ARPA-E Program Director with three decades of agriculture experience. We determined that if my research could identify a technical opportunity to enhance soil carbon storage, that we would put together a program. Over the next year, Dr. Cornelius and I spoke to over one hundred experts in the area, organized a workshop, and designed a funding solicitation around these concepts. My background is not agricultural – in fact I last took a biology course in high school – so there was an enormous learning curve! The experience taught me that I could make an impact in a technical area far outside of my Ph.D. training. That’s a lesson I’ll carry with me for the rest of my life. Dr. Kristen Brown currently serves as a Fellow at ARPA-E. She is interested in innovation in materials design, residential energy efficiency, and the importance of human factors in use and adoption of energy systems. Brown received her Ph.D. in Chemistry from Northwestern University under the direction of Prof. Michael Wasielewski and was awarded the Northwestern Presidential Fellowship. 1. How did you learn about the ARPA-E Fellows program and what drew you to it? 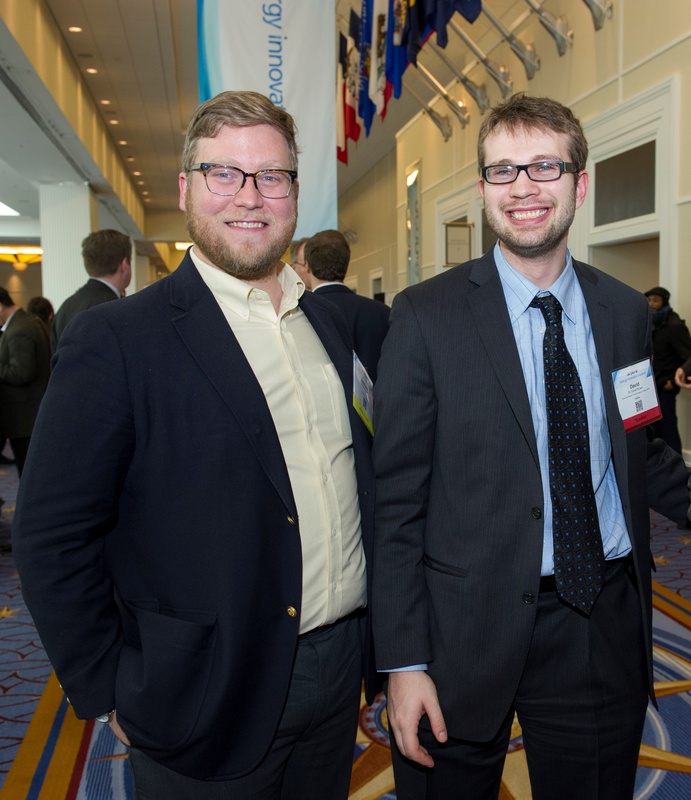 I was extremely involved in Northwestern University’s energy club and energy institute (the ANSER center), which led me to attend the ARPA-E Student Summit Program and learn about the Fellows program. Up until then, I had mostly considered consulting as the next step after my Ph.D. The Fellows program stood out because it combined technical creativity and strategic thinking to make an impact in a sector I’m extremely passionate about. It was a unique opportunity to gain depth and breadth beyond my Ph.D. while remaining in a highly technical area. 2. What things are you learning now that will prepare for you for your next opportunity? When I started at ARPA-E, I was handed a computer and asked what I planned to do during my two year tenure. The immediate realization that I could work to impact any aspect of clean energy was both extremely empowering and terrifying. ARPA-E is a constant firehose of new information and provides opportunities to be involved in multiple projects. For instance, I started out my first few months looking at residential energy efficiency, building sensors, and telepresence technologies. Learning how to prioritize my efforts early on to generate the maximum impact was an important skill which will benefit me regardless of the next steps I take in my career. ARPA-E also requires quick distillation and synthesis of information in deep technical areas outside of typical Ph.D. training. Developing the skill set to not only learn new information, but build the confidence and know-how to competently guide discussions with experts and build new initiatives is an extremely rare opportunity at this career stage. 3. What words of advice do you have for new Ph.Ds. – particularly for young women in STEM? “Lean in” to the value of your Ph.D. training. While you may spend five years learning a specific area of research – ultrafast vibrational spectroscopy in my case – you are really learning how to bring the scientific process and analytical critique to every job you do. Critical thinking was a skill I very much took for granted during my Ph.D., especially while surrounded by other incredibly talented Ph.D.s. When you can combine the Ph.D. thought process with skills learned from policymakers, business leaders, and industrial professionals, you’ll be a huge asset in any field. For women in STEM, never shy away from the unique perspective your experiences have provided you. All the personal and professional challenges you have likely faced during your career are extremely valuable learning opportunities. Reflect on the ways you are strong, creative, compassionate, empathetic, and brilliant and work to lift up and support the women around you. Dr. William Regan was an ARPA-E Fellow from 2012-2015 and focused on hybrid solar converters, solid-state heat engines, and intermediate fuel density approaches to thermonuclear fusion. Regan received his Ph.D. in Physics from the University of California, Berkeley, under the guidance of Professor Alex Zettl and with the support of fellowships from the Achievement Rewards for College Scientists Foundation and National Science Foundation. He is currently a Rapid Evaluator at X, formerly known as Google[x]. 1. How did you first learn about the ARPA-E Fellows program and what was your experience like? I learned about the Fellows program from Prof. Shannon Yee, a friend at Berkeley and the Agency’s first Fellow. I was fortunate to attend the 2012 ARPA-E Energy Innovation Summit on behalf of Lawrence Berkeley National Laboratory and was blown away by the quality and breadth of ARPA-E projects, the inspiring speakers, and the creativity and passion of the staff. The ARPA-E Fellowship was an incredible experience. I had the freedom to learn broadly and deeply about all sorts of exciting energy technology, worked side-by-side with brilliant and driven energy leaders (on both the technical and commercial side), developed connections to top academics and industry experts, and had the rare opportunity to shape the future of applied energy research through the development of funding opportunities. 2. Where are you now and how did the Fellows program prepare you for your next opportunity? I’m currently a Rapid Evaluator at X, helping to find, vet, and test high-potential ideas that may eventually become X projects. The Fellows program was excellent preparation for this role. I was able to broaden my technical horizons beyond my focused Ph.D. research, connect with and learn from some of the best scientists and engineers in the U.S., become proficient at technical and technoeconomic analyses to assess a technology’s impact, and glean years of real-world wisdom from my colleagues. One of the great things about the ARPA-E Fellowship program is the flexibility to tailor the experience as you see fit - to make the biggest impact at the Agency and to develop your skills for whatever challenge you want to tackle next. It can be a great way to find exciting research areas and collaborators for early career scientists about to begin academic positions. It’s a great way to enter the energy industry, for those looking for promising companies to join or for those who want to start their own companies. It’s a great route to prepare for leadership roles in government service, industry, and non-profits. We also have a large alumni network that can help you make the transition to any of these future careers. 3. What words of advice do you have for new Ph.D.s? Live deliberately and think about the impact of your work. Read The Alchemy of Air. Work hard but don’t stress too much about pivoting from academia to industry or to government/policy; we have no shortage of big problems and need good analytical people working on all fronts. If you have the chance, work at ARPA-E or work on an ARPA-E-funded project! Interested in learning more about the Fellows program? Click here to view information on the current application window.